Even though the Lion had done nothing to threaten the lives of his subjects, not doing something bad is not the same as proving it, proving the Lion’s goodness, so the Hare ran. There is a Lion who not merely laid down with the lamb, but He laid down His life for the Lamb…and the Hare, and the Panther and the Kid, the Tiger and the Stag, the Dog and the Hare. 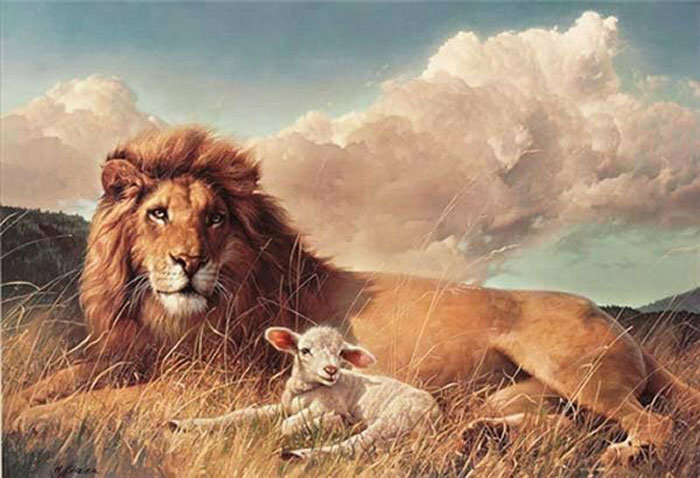 In fact, the Lion became a Lamb, God’s Lamb, to reconcile all to Himself so that their warfare is ended. The Lion’s life is His Word to us all. The Lion’s life itself is the basis of the true Kingdom of the Lion. This Lion is not a tame Lion but He has shown that He does not devour but gives Himself for the life of His kingdom and His animals, great and small.